★ EYE view gives an augmented reality overlay view of the home or office places and highlights those. 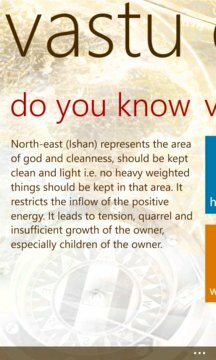 ★ Beautiful interface provides information on favorable or unfavorable positions of the chosen place. 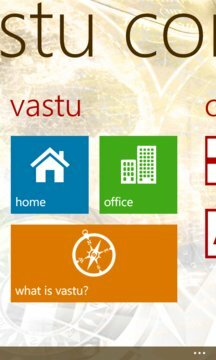 ★ GRID view to check vastu compliance of your home - Drag and drop items from list, set the direction and just tap on the check button. ★ Save favorable locations as image for future reference.